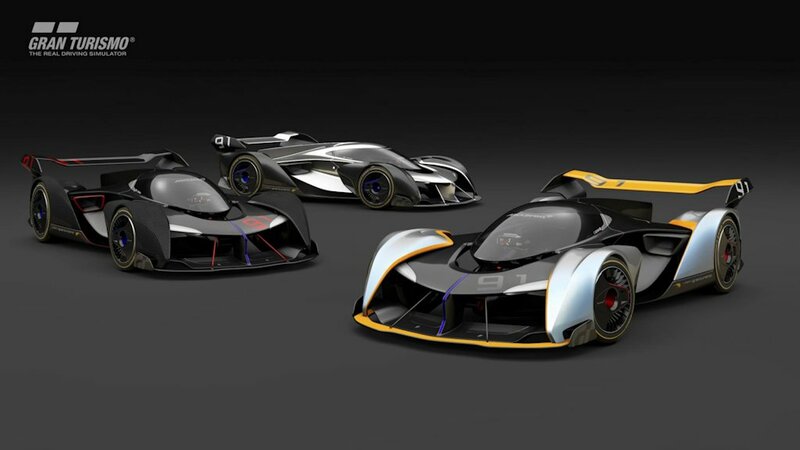 This is how an extreme McLaren GT racing car might look like. 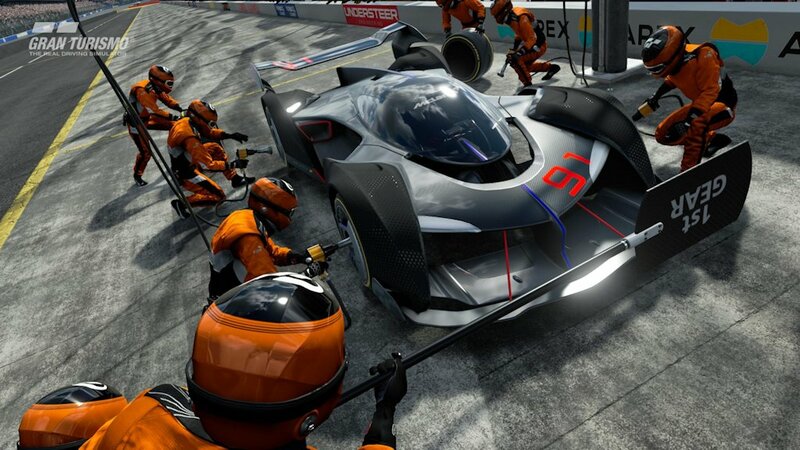 Appearing in the PlayStation 4 title, Gran Turismo Sport, the McLaren Ultimate Vision Gran Turismo is not linked or indicative of any future McLaren model, but is an envisioning of what a GT car might look like beyond 2030. 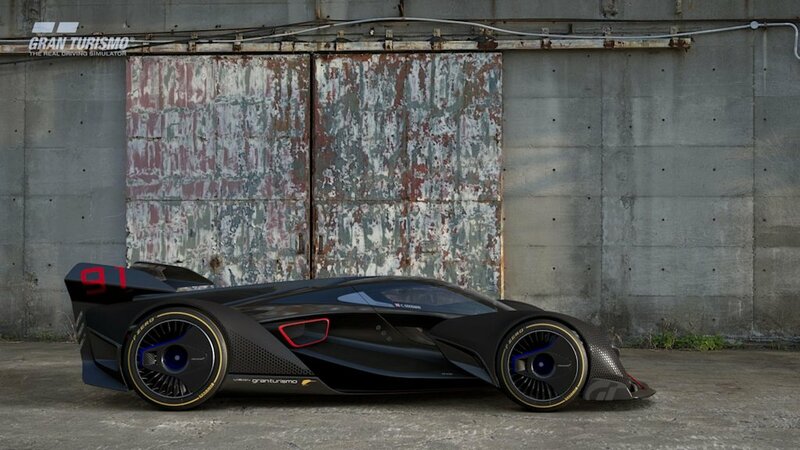 Designed for the virtual road and unburdened by production car constraints, the McLaren Ultimate Vision Gran Turismo pushes the boundaries of McLaren design well beyond current realities while still remaining true to its principles. 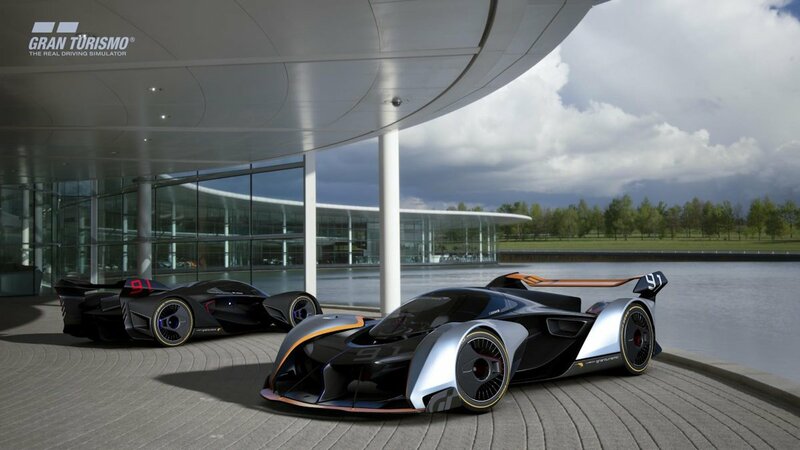 The McLaren Ultimate Vision Gran Turismo offers a very different driving position. The driver’s head is far forward, almost right above the front axle, allowing him or her to see exactly where the apex of each corner is. McLaren pioneered the use of carbon fiber in Formula 1 and the strong, yet lightweight material forms the chassis of all McLaren road cars. 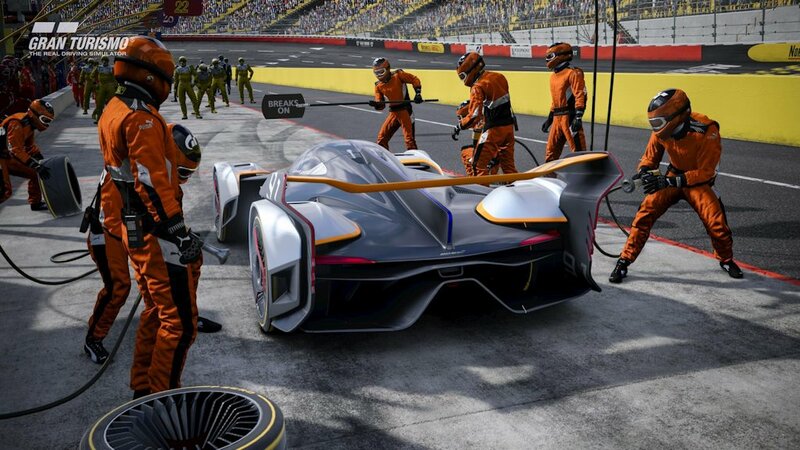 Featured extensively in the upper structure and body of the McLaren Ultimate Vision Gran Turismo as well as in the chassis, carbon fiber helps to deliver a virtual curb weight of just 1,000 kilograms. The McLaren Ultimate Vision Gran Turismo features ultra-advanced active aerodynamic technology. Called Integrated Active Aero, it works by opening tiny aperture covers around air inlets on key surfaces during cornering to create drag and generate downforce, rather than moving the surfaces altogether. This gives the handling benefits of active aerodynamics with a reduced number of moving parts that benefits both complexity and weight. Centrally mounted carbon-ceramic disc brakes reduce unsprung weight and the driver is also able to monitor brake temperatures during racing. 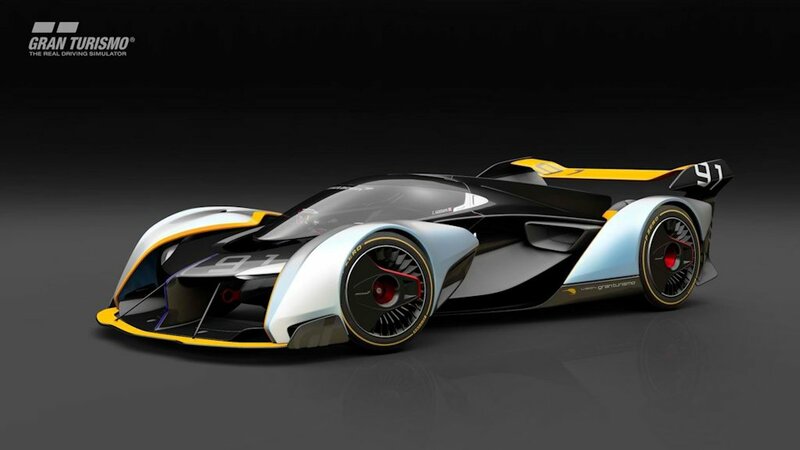 McLaren envisions that its Ultimate Vision Gran Turismo will be powered by a twin-turbo 4.0-liter V8 engine driving the rear wheels. 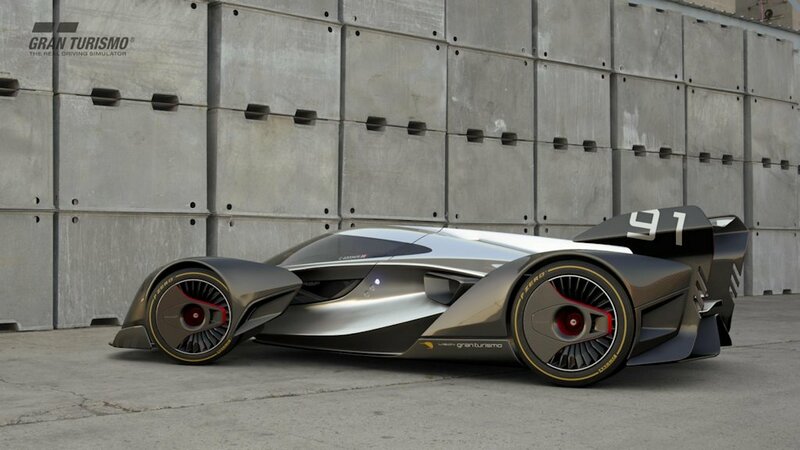 Meanwhile, high-output electric motors are housed in each of the front wheel pods. Maximum output is 1,150 horsepower and maximum torque is 1,275 Nm. In the game, three liveries will be made available: Performance, Ulterior, and Noir. 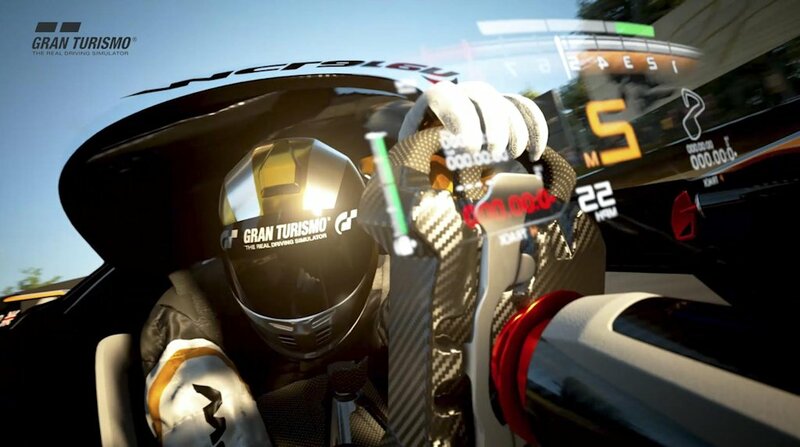 The highly anticipated Gran Turismo Sport goes on sale starting October 17, 2017 exclusively for the PlayStation 4.